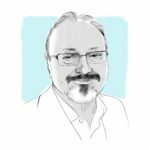 17 Oct 2018 – A note from Karen Attiah, Global Opinions editor: I received this column the day after Jamal was reported missing in Istanbul. The Post held off publishing it because we hoped Jamal would come back to us so that he and I could edit it together. Now I have to accept: That is not going to happen. This is the last piece of his I will edit for The Post. This column perfectly captures his commitment and passion for freedom in the Arab world. A freedom he apparently gave his life for.